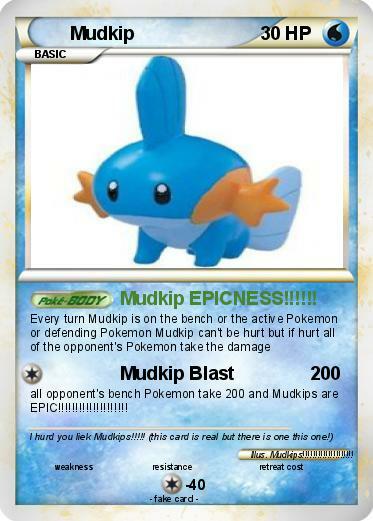 Attack 1 : Mudkip EPICNESS!!!!!! all opponent's bench Pokemon take 200 and Mudkips are EPIC!!!!!!!!!!!!!!!!!!! !